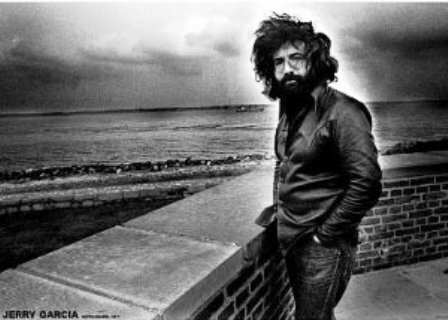 A rare never before seen photo of Jerry Garcia in Copenhagen, Denmark during the Grateful Dead 1972 European tour. Approx. size 24" x 36"